Last night Gummer, who was a Tory MP for 40 years before becoming Lord Deben in 2010, was facing calls to resign over what appear to be ‘colossal’ and ‘scandalous’ conflicts of interest exposed by this newspaper. MPs also demanded an urgent inquiry by Parliament’s standards watchdog. David Davies, the Conservative MP for Monmouth, said: ‘Based on the information you have given me, he appears to be unfit to hold public office. Labour MP Graham Stringer, a member of the Science and Technology Committee in the Commons, said he was ‘staggered and appalled’ by the conflict of interest. All MPs, peers and public officials must officially declare their outside earnings and interests to avoid conflicts of interest. 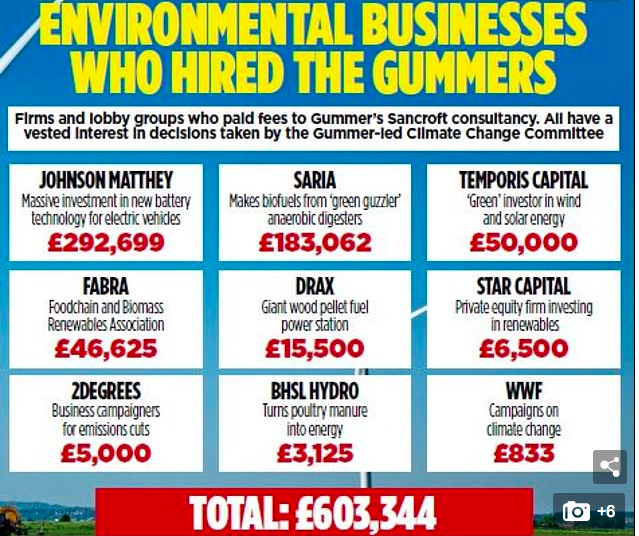 Gummer does declare his chairmanship of Sancroft, but official records show the former Agriculture Minister – who famously fed his four–year-old daughter a beefburger on TV during the BSE crisis in 1990 – has not publicly declared any payments made by ‘green’ firms to his company. 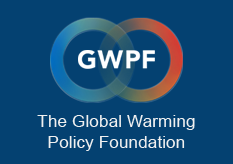 The Committee on Climate Change, established by the 2008 Climate Change Act, is a supposedly independent quango which advises the Government on how to achieve Britain’s target of reducing greenhouse gas emissions by 80 per cent by 2050. Chaired by Gummer since 2012, it has urged Ministers to fund vast subsidies paid to ‘renewable’ energy companies. The cost is met by adding ‘green’ levies to household and industry fuel bills, currently totalling £8.6 billion a year. Controversial British green energy company Drax, which produces electricity by burning wood pellets and receives an annual £700 million government subsidy, was backed by the CCC in a November 2018 report, after it had paid Gummer’s firm £15,500 to carry out a study of its operations. Gummer said he cleared this with the CCC compliance officer.